Congrats to all the Winners and thank you!! Thank you SO MUCH! I am really excited about this win! YAY!! crossing my fingers that the snow messing up my email has kept me from getting my win notification on the dyson or rocker... ha! Who are the other lucky people?? could be naomi + sarah! i'm still working on these. i am so sick, it's hard to concentrate. i have bronchitis + sinusitis + mod*tot does too, so it's hard keeping track of all these + the emails are in the hundreds back + forth with winners + sponsors. i just got mod*tot to bed + now i'm going to work on this a bit more, but i should be sleeping. Hey *mom! I'm sorry to hear that you aren't well! You should take it easy, getting some holiday tranquility. I could have waited some more to hear about the winnings but I'm of course very happy!! 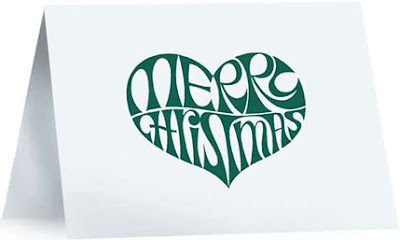 Christmas kisses and get-well hugs! Wow! Thank you, Mod Mom! Thank you! I'm sending you my mailing address. Ick, it's bad enough when you're sick, but it's awful when you are AND have to take care of others... hope mod*dad isn't ill, too. that's the very worst! Hope you're better soon and have a healthy, happy new year! sick over christmas is no good. Me and kiddos are battling colds. Blech! Oh man...you have really had a run of it, poor girl. We can wait, really. You get rest as best you can. Here's hoping mod*tot and you feel better double quick!! ditto of everyone else, but still hope one prize is a waitin' for me :) Seriously, get well. mod*tots asleep again, + i hope i can finish these up tonight. So sorry to hear that you both have the yuckies! Hope you are all better soon! Thanks again! Hope you all have a Happy New Year!